Before winning presidential elections in Algeria, Abdelaziz Bouteflika promised to restore diplomatic relations with Morocco. The Oujda-native was open to the idea of making Algeria a «leading regional power» in the Maghreb region. However, after taking office, Bouteflika showed little interest in improving ties with neighboring nations, including Morocco. 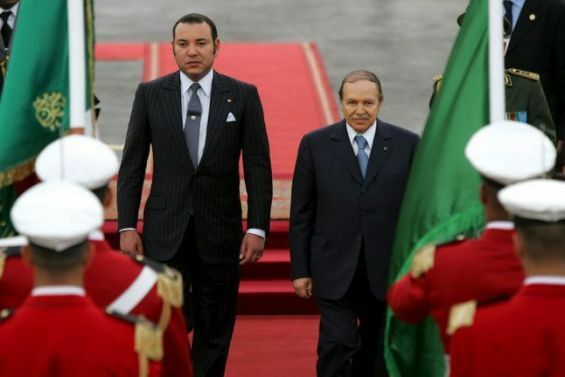 The politician’s double stance was revealed after King Hassan II passed away. In July 1999, the Algerian President attended Hassan II’s funeral, meeting King Mohammed VI. In Rabat, Bouteflika called the sovereign his «brother» and showed a great interest in turning the page on the two countries’ differents. But once in Algiers, the leader poured oil on troubled waters. The situation was thoroughly explained in a book titled «The Middle East and North Africa 2003» (Psychology Press, Oct 31, 2002), where it is mentioned that «despite an undertaking to work towards a further improvement in bilateral relations, Bouteflika's co-operation proved short-lived». Indeed, during the same year, Bouteflika accused Morocco of hosting bases of the Armed Islamic Group of Algeria, an Islamist group that orchestrated one of Algeria’s bloodiest massacres in August 1999, killing 29 civilians in a town called Béni Ounif. Moreover, Bouteflika «extended accusations to drugs-trafficking and arms-dealing on the joint border», the same book recalled. Algeria’s allegations were surprising to Morocco, which denied said accusations. This crisis occurred at a moment when Rabat and Algiers agreed in several meetings to strengthen diplomatic relations and reopen land borders, closed since 1994. Drugs, extremism, and arms-dealings were not the only issues that stirred up tensions between the two neighboring nations, but also the Western Sahara conflict. The same book recalls that Bouteflika adopted a «hostile» position on the conflict that is primordial to Rabat. However, the book concluded that «Algeria’s generals, and not the President, apparently dictated policy on Western Sahara issue». «While Algeria continued to support a solution to the conflict by means of the UN referendum process, many Moroccans remained convinced that the Polisario Front was only a force to be reckoned with because of Algerian backing». Shortly after ascending the throne, King Mohammed VI addressed this disaccord between Algeria and the Kingdom. In his first interview with Time magazine, in June 2000, the Moroccan sovereign acknowledged that «there is a problem between Morocco and Algeria». However, the King stressed that «there is no problem between Morocco and the Saharan-Arab Democratic Republic [proclaimed by the Algerian-backed independence-seeking Polisario Front]. This is Algeria's creation». At the same time, the King said that he «admires President Abdelaziz Bouteflika», adding : «The little contacts we have had, not many I must say, were very positive. He is very pleasant and has a great sense of humor». Algeria’s hostilities towards Morocco on the Western Sahara issue continued. And in June 2001, Algiers disapproved of an autonomy plan proposed by former UN Personal Envoy James Baker. According to «The Middle East and North Africa 2003», Algeria’s refusal was surprising, especially as reports in the local Algerian press suggested that «Bouteflika had accepted Baker’s plan at a meeting with George W. Bush in November». 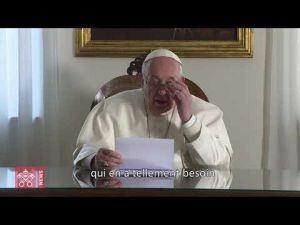 These reports were quickly denied by Algerian officials, who reiterated their support for «the principle of self-determination and the right of the Sahrawi people to independence», the same source recalled. In 2002, rapprochement between Morocco and Algeria looked almost impossible after Rabat refused a partition plan, proposed by former UN Secretary-General Kofi Annan. Media reports, at the time, suggested that Bouteflika was behind this suggestion. Things deteriorated, even more, when Bouteflika visited the Tindouf camps in February of the same year, becoming the first Algerian President to do so. 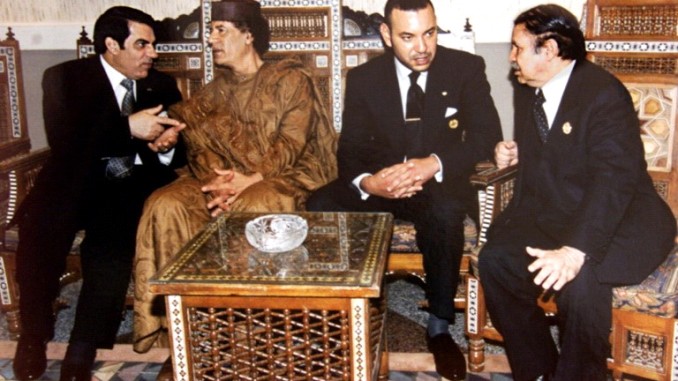 Although tensions between Algiers and Rabat were too obvious, Bouteflika kept a very diplomatic tone when addressing relations with Morocco in international events. 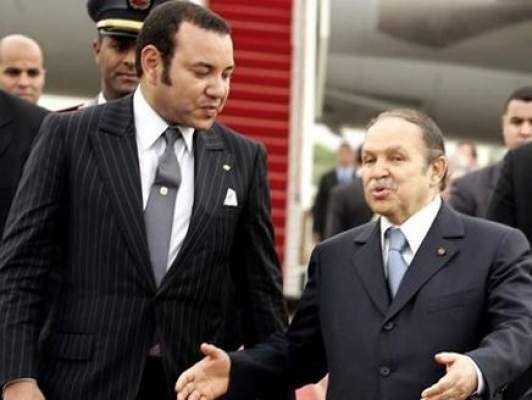 In October 2004, Bouteflika stated that «Algeria will never declare war on Morocco» because of the territorial conflict. In Johannesburg, the biggest city in South Africa, Bouteflika declared that «Western Sahara is not a casus belli between Algeria and our brother», concluded Yahia H. Zoubir and Louisa Dris-Ait-Hamadouche in their book «Global Security Watch—The Maghreb: Algeria, Libya, Morocco, and Tunisia», (ABC-CLIO, 2013).